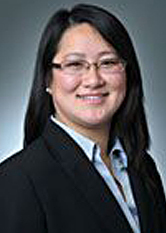 Caroline Sun focuses her practice on all aspects of patent litigation, with an emphasis on pharmaceutical patent litigation under the Hatch-Waxman Act. Caroline has extensive experience representing clients in the pharmaceutical, chemical, biological, entertainment, and consumer goods industries. Caroline spent six years as an associate at a prominent IP boutique law firm in New York City, where she gained experience in intellectual property litigation involving enteric-coated delayed release dosage forms, suspended release formulations, anti-epileptic formulations, blu-ray disc players, electronic baby swings, and audiovisual secondary rights for copyrighted works. In addition to litigation, Caroline has provided non-infringement and invalidity opinions. Prior to her legal career, Caroline was a doctoral candidate in developmental genetics at New York University and a research associate at a biotechnology company.